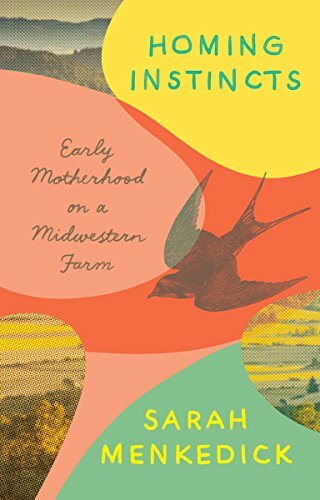 This debut breaks any existing stereotype of memoir about pregnancy and motherhood. The eight long essays are meandering, smart, and packed with cultural, literary, and scientific references. It is a long trek through the mind of the author, whose stunning intellect is matched by her initial resistance to the insights she eventually gains. Readers get to wade through her stubbornness, how enamored she has been with her previous lifestyle—traveling the world, going to China on a whim, being unfettered—and then experience her agitation with the realities of pregnancy and motherhood—a trip from which there is no return. First, the news that she and her husband will have a baby strikes her like any decision she makes to do something impulsive. This is just travel of a different kind! She’s briefly elated. Menkedick admits to having “confused travel with experience and experience with self-definition.” This realization has a gestation period as long as that of her child. The author begins to glean that the most significant thing to happen to her yet will not involve pursuit of the exotic, but will be grounded in the domestic, and rest upon the history of so many women before her—pregnancy, labor, childbirth, and the ensuing self-erasure of new motherhood. These admissions of inexperience, error, righteousness, arrogance, and flimsy construction of self, make her trustworthy as a writer, and endear her to the reader. There is nothing more essential to memoir than the writer’s willingness to be self-convicting. To her credit, she gets how myopic she’s been: “I couldn’t understand until I became a mother. I so completely inhabited my own story that I failed to see its construction, its ultimate flimsiness—the way I had cut myself out of it like a chain of paper dolls, so many one-dimensional selves holding hands into infinity.” Readers will admire Menkedick’s self-scrutiny and candor. Chapters about her grandmother and her father are the most generous in terms of development of other characters. (Readers don’t really get to know her husband Jorge; perhaps there could’ve been a chapter devoted to him.) Menkedick’s portrayal of her father in the final chapter, The Lake, is specific, gorgeous, and poignant. Readers will fall in love with this dad, and it’s a credit to the writer that we see him in so much detail, that we come to know him. For someone clearly as smart and as talented as Menkedick, it’s surprising to see her create nouns out of adjectives by adding the suffix “-ness.” Why say “gratefulness” when gratitude is the noun? Or “quietness” when the noun is simply quiet. In another example, she talks about the “worthwhileness” of something. This misuse of language is so pervasive now that it won’t likely strike other readers as odd. But it stands out against her otherwise brilliant prose. And I doubt there’s a better, more accurate description anywhere than the one on page 171, of a woman’s experience of early labor vs. hard labor. Menkedick is a writer to watch.